Ill. Gov. Bruce Rauner (R). Rauner recently lost his re-election bid. (U.S. Air Force photo by Jodi Martinez/Released). Public domain. Illinois Gov. Bruce Rauner is calling for an investigation into Airbnb, claiming the company enforces discrimination against Israelis. The popular home-sharing agglomerate recently announced that it’d de-list any properties located in Israeli settlements in the West Bank. The West Bank, part of Muslim-majority Palestine, is crisscrossed by a series of small Jewish outposts. Often called the settlements, the towns and villages can impair Palestinian’s freedom of movement; their legality has been repeatedly questioned within the United Nations. But Rauner believes Airbnb’s apparent support for Palestinian causes could prove a violation of Illinois law. “I’ve called upon our state investment policy board to investigate their policies,” Rauner said last week. 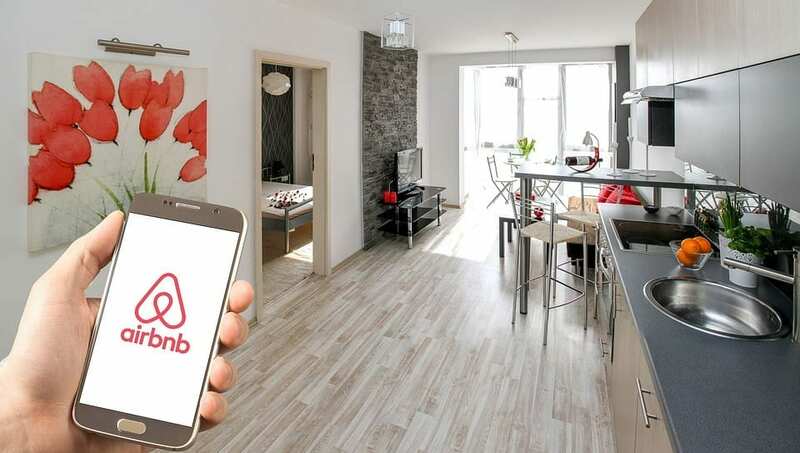 “I’ve been increasingly concerned that Airbnb is engaging in discriminatory practices against Israelis and the state of Israel by defining lists in Israeli settlements,” he said. The governor explained that he’d ask the Illinois Investment Policy Board to investigate whether Airbnb has breached state law. In Illinois, it’s illegal for the state to aid the ‘Boycott, Divestment or Sanction movement’ against Israel’s treatment of Palestinians. Stock image via MaxPixel. Public domain. Ruaner said it’s possible that Illinois may have invested in companies which provide equity or other services to Airbnb. He made it clear that his investigation’s intent was to offer support for Israeli policy. Writing to the IIPB, Ruaner stressed that Airbnb’s alleged discrimination against Israelis is a moral dilemma. Rauner, writes Israeli paper Haaretz, is Illinois’ outgoing Republican governor. He recently lost a re-election bid to Democratic J.B. Pritzker, who’s views on Airbnb are yet unknown. Progressive Jewish activists have questioned the sense in Ruaner’s ongoing investigation. “Whether or not one agrees with Airbnb’s decision, it should be clear that it is rooted in concern over the ongoing occupation, settlements and the treatment of Palestinians in the West Bank—and not about opposition to Israel, Israelis or the Jewish people,” Jewish group J Street said in a statement. J Street said that U.S. officials who act against Airbnb are not defending the Israeli state or Jewish people but are instead moving to support discriminatory and potentially illegal settlement policies in the West Bank.